Want it by Wednesday 24th April? Order within 3 days, 40 minutes and choose Royal Mail Tracked 24 Hour at checkout. Look great and stay dry this season with the Raine mid length right as rain coat in antique gold. 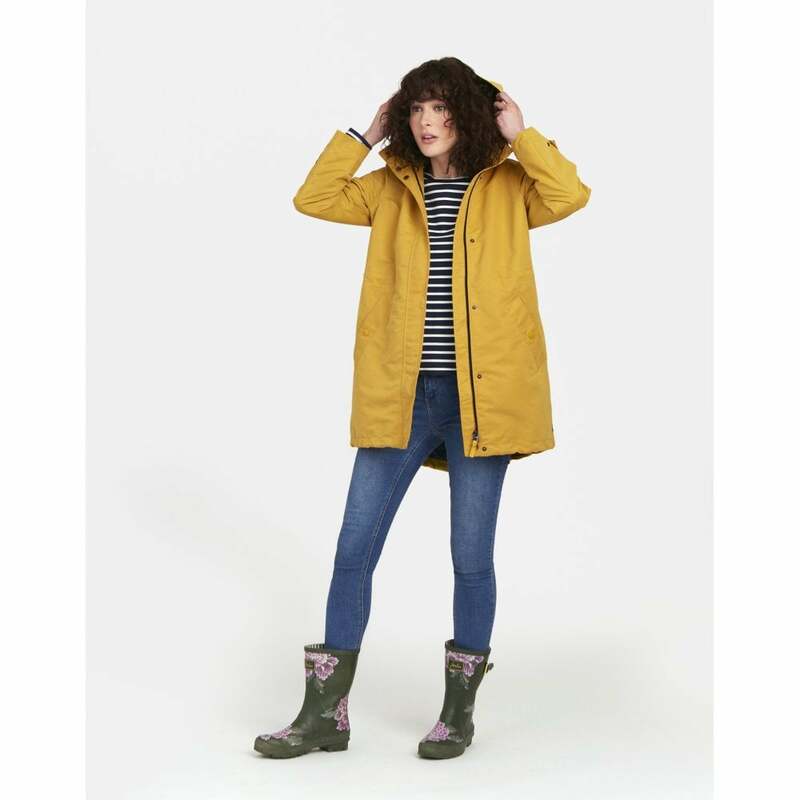 This gorgeous waterproof coat would look great to add some colour to any outfit. We love this coat paired with some skinny jeans, ankle boots and a blue and white striped Joules harbour jersey top.